This month on posterromance we are going to look at iconic and classic posters, but before we do that, I thought – since, we are, after all, in Montreal – we should look at Montreal classics and icons… it’s a completely personal list, made up of the things which we like/love and those which are just so identifiably Montreal that they couldn’t be left off. The most significant landmark of Vieux-Montreal is this mammoth Gothic Revival undertaking designed by Irish architect James O’Donnell and built between 1824-9. This thriving Catholic church has a stunning medieval-style interior that features walnut-wood carvings, exquisite stained-glass windows, 24-carat gold stars in a vaulted blue ceiling, as well as one of the largest Casavant organs in North America. Don’t miss the fine art paintings in the nave and the impressive Chapelle du Sacre-Coeur hidden behind the altar. 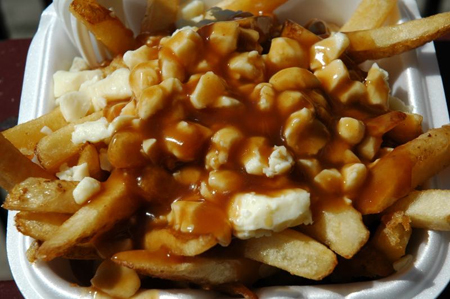 Poutine just might be Quebec’s signature food. The messy pile of fries, gravy, and cheese curds isn’t new, but in recent years it’s experienced a renaissance, spreading across Canada and beyond. Gourmet versions have appeared in trendy gastro-diners and even the New York Times has jumped on board, celebrating poutine’s arrival in Manhattan. 3. Outdoor markets: One of the things which visitors to Montreal often marvel at is out outdoor markets. They can be found in every neighbourhood of the city, year round, and they offer fresh fruit, vegetables, maple syrup, cranberries and all sorts of specialties (which differ from market to market). 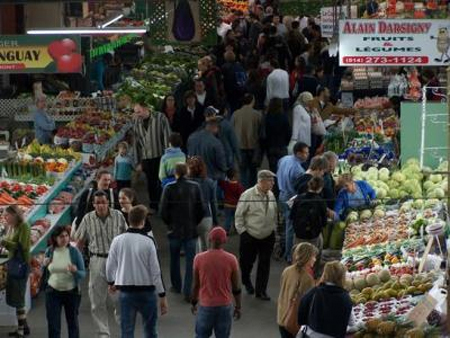 The biggest, most popular public markets are Jean Talon, Atwater (especially known for its extensive flowers and greenery), Maisonneuve, and Lachine. All of these Montreal markets offer fine foods and related products and have a bakery or other places to eat. They are open year-round every day of the week except for certain holidays. Sometimes unexpected things happen at the market…. 4. The Tam Tams So, you’re taking in the sights and sounds of our beautiful Mount Royal, when all of a sudden you hear the unmistakable sound of drums. Lots of drums. Welcome to the Tam Tams. Als one tourist blog writes: “One of the most original musical events in Montréal, this free festival takes place on Sundays, near the monument to Sir George-Étienne Cartier and in Mount Royal Park’s surrounding green spaces. A colourful gathering of drummers, dancers, vendors and their admiring audiences. 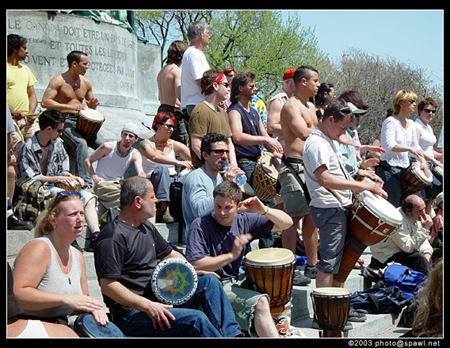 For twenty years, Montrealers and visitors have come to play music and dance, or just watch and listen.” And sniff… oh yes, evidently to play the Tam Tams well requires a little – sometimes a lot – of marijuana. Makes it sound so much better. Or so I’m told. 5. 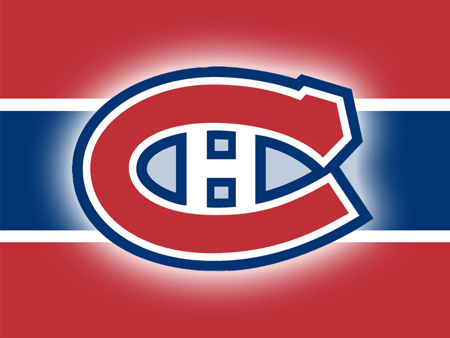 The Canadiens Even if you don’t play – or watch – hockey, every Montrealer is at their core a Canadian’s fan. 6. 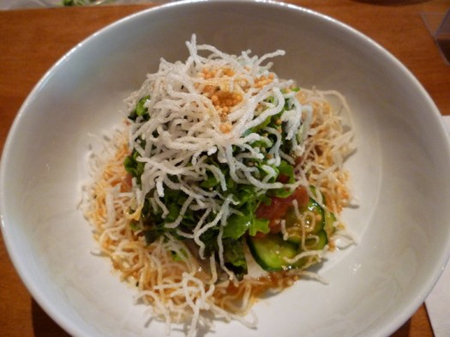 Shopping – Frommers says: you can shop in Montréal until your feet swell and your eyes cross. Whether you view shopping as a focus of your travels or simply as a diversion, you won’t be disappointed. Among natives, shopping ranks right up there with dining out as a prime activity. Many Montréalers are of French ancestry, after all, and seem to believe that impeccable taste bubbles through the Gallic gene pool. The city has produced a thriving fashion industry, from couture to ready-to-wear, with a history that reaches back to the earliest trade in furs and leather. More than 1,700 shops populate the underground city alone, and many more than that are at street level and above. It is unlikely that any reasonable consumer need — or even outlandish fantasy — cannot be met here. Here’s their list of where to go. 7. Which brings us to food. There are just about as many restaurants as there are inhabitants in Montreal, something for every taste, every budget and every hour of the day. You must try our famous smoked meat – either at Schwartz’s or at Wilensky’s, the above-mentioned poutine, and some of the great Quebec micro-breweries (they have their own page on Wikipedia, but my favorite is Bierbrier). Aside from that, we have put together a list of our favorite restaurants (tourist ALWAYS ask us), which includes: Holder, Le Filet, 400 Coups, Kazu, Lemeac, Dolcetto and others … Everyone has their favorites and their not-so-favorites: in Montreal, eating is a passionate sport. 8. 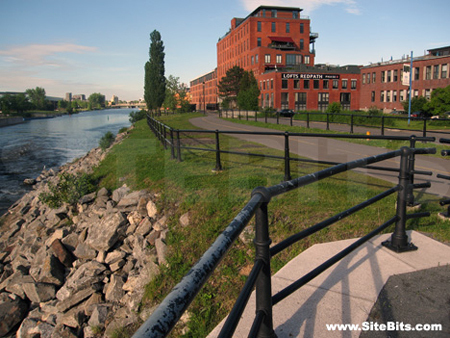 Lachine Canal -The Lachine Canal runs 14.5 kilometres from the Old Port to Lake Saint-Louis. The Canal is more than an inland waterway, as it is also an accessible urban park that astonishes with its rich history. Rollerbladers in the summer, cross-country skiers in the winter, dragon boaters (yes, really) when its warm enough, the Canal is full of life, all year long. The activities and facilities at the Canal give you the opportunity to learn about the history of this site of significance to Canadian industry and navigation, all while enjoying a unique urban environment. 9. Culture Montreal boasts a rich cultural scene for francophones, Anglophones and those phones who cant choose … Theater, ballet, opera, festivals (even one in the dead of winter called the Montreal High Lights Festival which sees crazy people going out all night long in -40 degree weather…. ), jazz, blues, rock, classical and heavy metal music… You name, we got it. Here’s an English site for Montreal Culture, and a French one too. 10. L’Affichiste! Did you really think we’d leave ourselves off the list? ?